Vegetable gardens provide a place to get your hands dirty and a reason to get outside more often, not to mention they produce fresh food that you will enjoy at the dinner table. But a simple and dis-organised vegetable garden is not enjoyable, right? You can create a neat and tidy veggie garden that will help beautify your yard and be a place of relaxation. 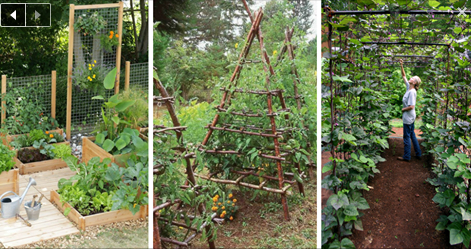 Take a look at these 10 ways to style your very own vegetable garden!